DU Previous Question Paper M.Ed previous question paper is available online on the official website of Delhi University ie, du.ac.in. Candidates can download or check the DU Previous Question Paper M.Ed from this page. DU previous question papers are provided by the university itself. Delhi University releases the previous question online every year. The purpose of providing the question is to make students familiar with the exam pattern, marking scheme, and the difficulty level of the question. Students pursuing in Delhi University shall be benefited by the M.Ed previous question paper. While preparation for M.Ed semester exam candidates can use this question paper. Check the page for DU Previous Question Paper – M.Ed and the preparation tips. 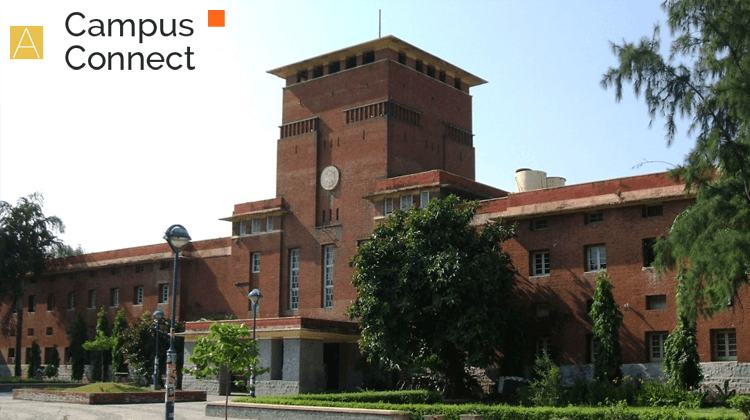 Delhi University conducts the examination twice in a year in semester mode. The semester exams are conducted in the month of April and Nov/Dec. The University conducts M.Ed exam for 2 hours. The marks of the paper differ from course to course. In the M.Ed exam, students have to write the question either in English or Hindi languages but only one medium should be used throughout the paper. Students can check the “Note” section for the important instructions. The link for DU Previous Question Paper – M.Ed is mentioned below. Students can check the syllabus of Master of Education (M.Ed). Previous Question Papers holds huge importance during the preparation of the exam. It boosts the preparation of the students. Students can check the exam pattern, marking scheme, the medium of the exam (Hindi or English), and time duration. Previous Question paper can be used to check the preparation level. While solving the previous question paper students will be able to figure out the important topic for the exam. Students appearing for the exam must have a good strategy for the preparation of the exam. Every student has his/ her own preparation technique. But there are some few common tips to be followed while the preparation of the exam. However, below are some preparation tips students may find useful during the preparation of the exam. While studying make the habit of making notes of the topic that you finds difficult to understand and discuss it with your faculty or friends who so ever you find easier to approach. At the end of the day make the revision of the topic you have studied. Solve the previous question paper within the time and try to attempt all the available in the question paper. It will help to analyse your preparation level and also help to track the weaker topic. And finally, practise a lot.